Lemon Walker OG is the sativa dominant cross strain produced as a mixture of the wonderful Lemon Pie as well as Skywalker OG strains. The dank bud claims a moderately high THC level among 19-20% and a delightful taste important of a newly baked lemon-packed pastry. It was the first Place conqueror for Best Focus in the year of 2014 at Denver Cannabis Cup, as well as once you attempts this bud, you will definitely recognize why. With a nearly instant hard-hitting rational start, your head may be thrown in the clouds through a condition of euphoric original energy which can create you insanely silly sometimes. This liveliness runs over you through pain releasing waves, parting you in the condition of insanely elevated easing free of every competing thought. Those cerebral effects create it a desired as the bake -and- wake bud of numerous cannabis users. 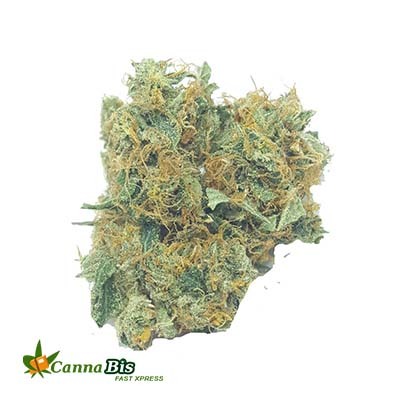 Because of its uplifting type, it is a flawless bud for handling chronic fatigue, slight to moderate circumstances of chronic stress, depression, and headaches or migraines. Those buds have stone shaped average sized jungle green nugs through rich gold undertones as well as long shrill amber hairs. Every unit is coated by a sparse splashing of rough trichomes in addition to sticky sugary resin. Through front-end parentage which consists of Sky walker OG and Lemon Skunk, this inspiring strain offers a strong cerebral buzz which transplants itself in the form with continued usage. Through bright notes of citrus plus a pungent and a little fruity undertone got through by Skywalker, the strain is perfect for those looking for uplifting, mood improving effects.